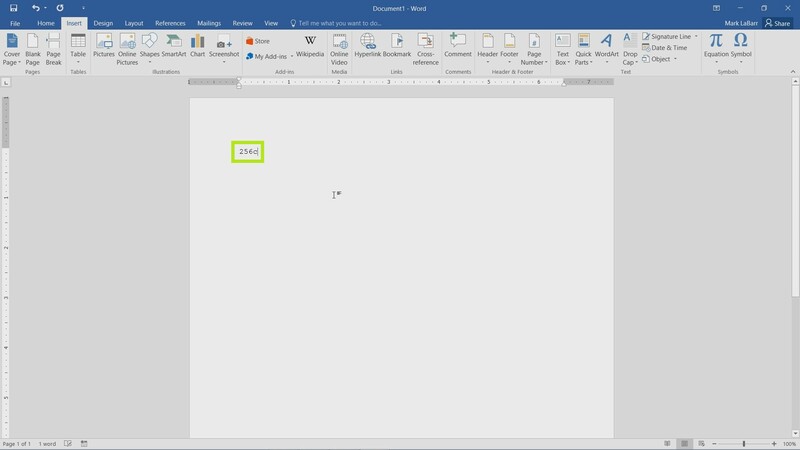 The most straightforward way to insert a symbol is to go under the Insert tab and click Symbol. There will be some recently used symbols shown as well as a More Symbols option. Find the symbol you want, then click Insert. There are also shortcuts for each symbol. This particular shortcut is the most confusing. To type the symbol associated with it, first type the first part, “017C”, “256c”, etc. 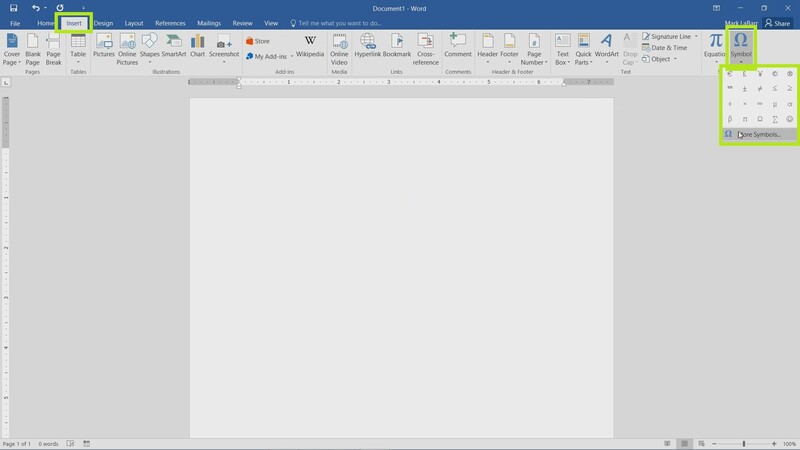 The text will appear on the word document. 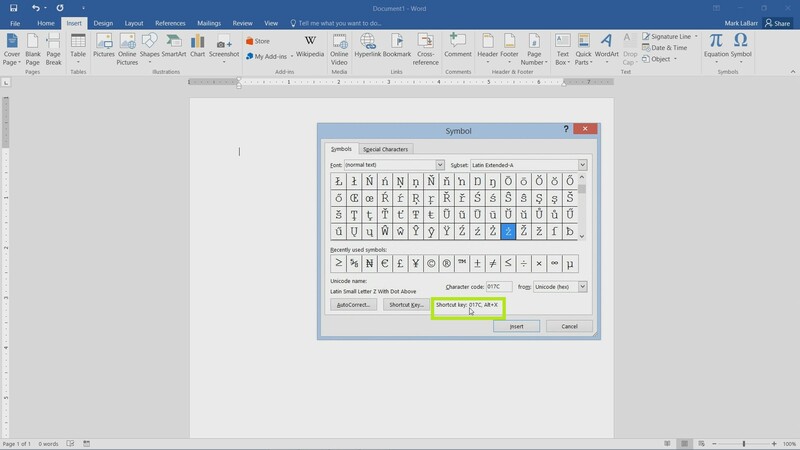 Then type the key combination Alt+X. This will replace the previous text of “256c” into whatever the symbol associated with it was.